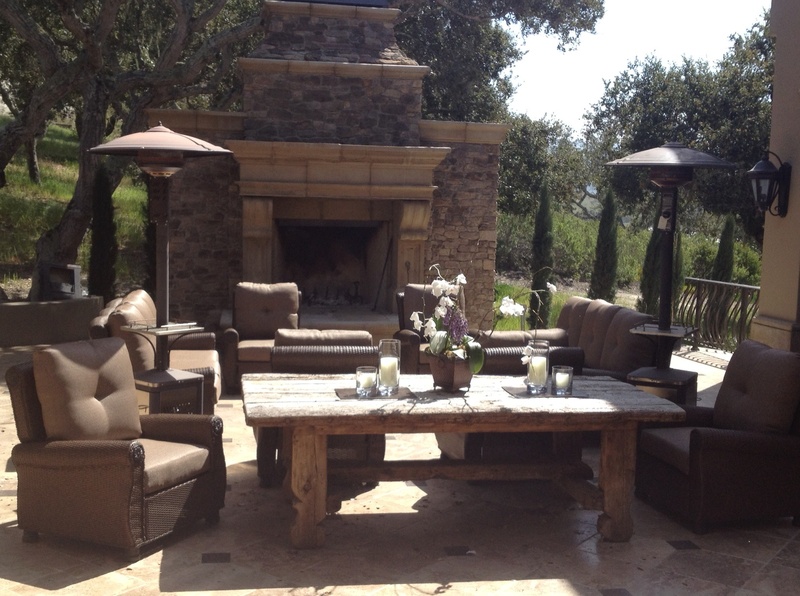 Openairlifestylesllc's Blog | Providing the world with high end design and exceptional quality outdoor furniture. It doesn’t seem like Spring is right around the corner in many parts of the country, but it will be here quicker then you think. We will move outdoors to enjoy the fresh air, sunshine and some burgers on the grill with our family and friends. We will have our expert designers continue to update you and answer some of the most common questions to get your backyard ready for summer. 1. 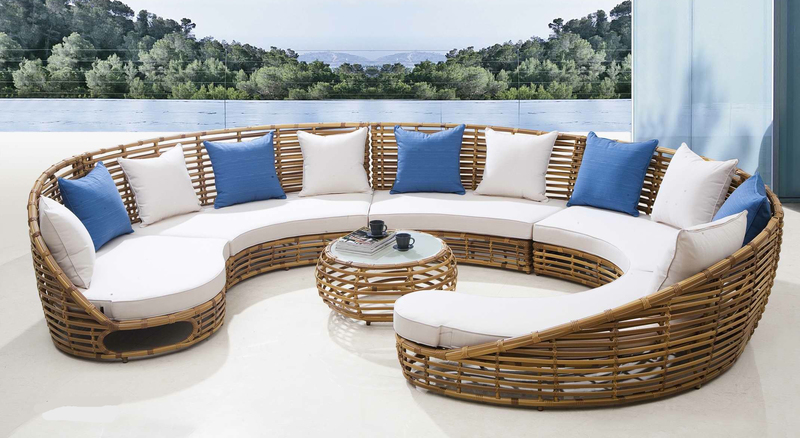 2015 proves to be the year of thick, natural looking resin wicker deep seating and dining sets. Timeless designs are proving to be more popular, taking the place of the ultra modern design of the past seasons. Curved arms, flowing edges allow the resin to gracefully flow to create a high end look that is virtually maintenance free. 2. Quick dry foam is a must for all outdoor patio furniture cushions. Dining cushions should be 3″ and deep seating should be at least 5″ thick. 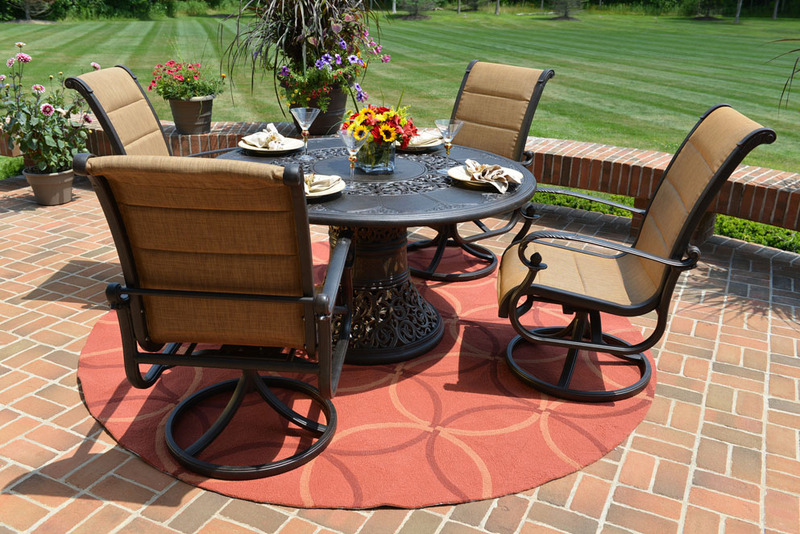 Outdoor patio cushions are an extension of your patio sets, make sure you request quick dry foam. When your shopping for a new addition to your outdoor living space, pay special attention to the materials being used. Thicker resin equals longer life for your new set. Style is an individual choice for each consumer, 2015 is sure to be the year of a more traditional look, bringing an indoor look to your outdoor space. The mid-summer season is upon us and our luxury cast aluminum patio furniture has been on top of the best seller list in 2014. Open Air Lifestyles is actively involved in the manufacturing process from it’s inception and design, to final assembly and finishing details, ensuring your outdoor patio furniture meets the highest quality of standards. Our cast aluminum furniture begins with 356.2 aluminum ingot directly imported from Australia. We never use old window frames, soda cans or other sources that would compromise the aluminum due to the impurities that degrade the quality. Each piece of our cast aluminum collections are meticulously crafted, die casted and finished to perfection, paying special attention to every small detail. The results speak for itself. Feel the smoothness of our handcrafted welds and compare the consistency of our fit and finish. The underside of each piece is finished as beautifully as the tops. 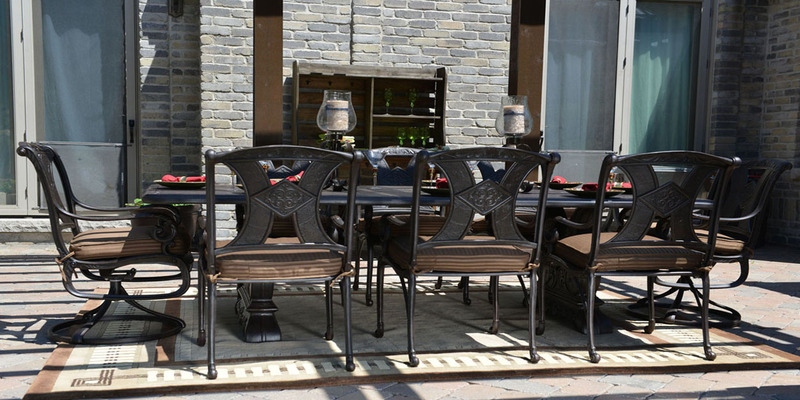 It’s the least you should expect from high end cast aluminum outdoor furniture. Open Air Lifestyles uses the highest quality metals and fabrics so our designs are timeless and their unprecedented look will last forever. Please visit our website at www.openairlifestylesllc.com to find your next set of luxury outdoor patio furniture. Our commitment to quality is your key to a beautiful outdoor living space. Cool evenings, sun is setting earlier and coming up later, yes Fall is upon us. 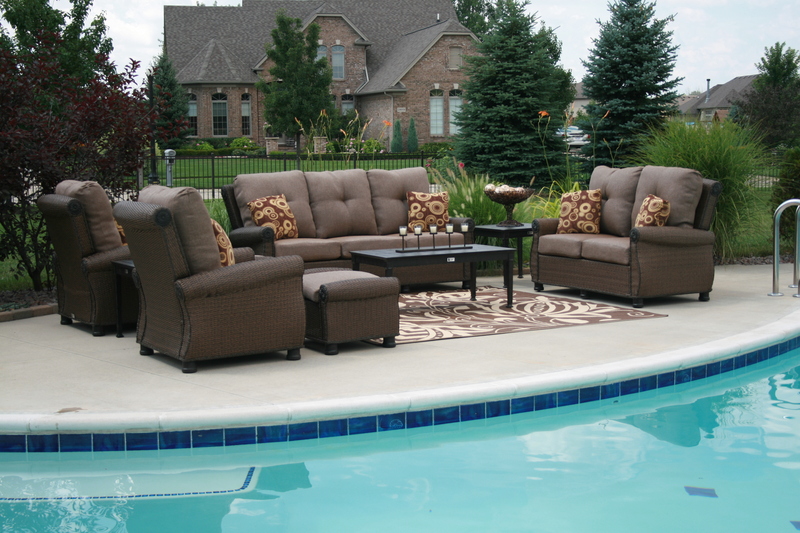 Most people are thinking about the upcoming holidays and family gatherings, but we thought we would give you a sneak peek at the “Hot” outdoor patio furniture styles for the upcoming 2013 season. Style once again is very subjective, from traditional, transitional to modern, there are plenty of different configurations in each of these categories to meet each and every style requirement. 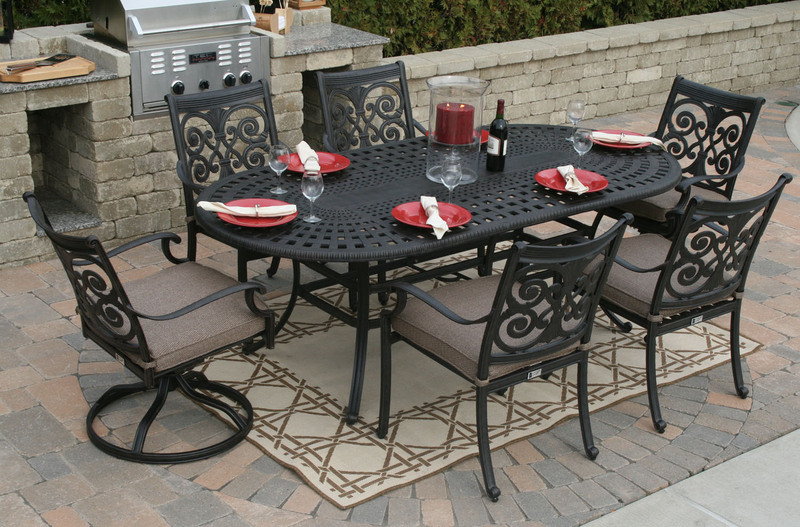 Cast aluminum patio furniture is the mainstay of every outdoor season. Style changes, powder-coat finishes vary and cushion colors are very personal. 2013 is really lending itself to straight lines, simple accents and the cushion colors are more muted with pops of plums, olive greens and yellow accents on throw pillows and throws. Bronze powder coat is still the most popular choice for residential furniture but black is coming on strong. Having so many similar styles out there to choose from, it will come down to the fine detail on each piece of furniture. Pay attention to the arm style, leg detail and welded joints to ensure your purchasing a high quality set. All weather resin wicker furniture will continue to be hot in 2013. Again, it comes down to style, thick strands, multi-dimensional weave and the new Viro polyrod are the tops of the market trend. Motion chairs are once again big for the high end residential applications. Large, sprawling sectionals and over-sized single deep seating with thick cushions are a sure bet for any lounge area. Sunbrella cushion fabric is a must to ensure that your cushions look and feel as good as the day you purchased them. All high end cushions will have Quick Dry reticulated foam in the interior and be complete with industrial zippers so that you can wash the covers at your leisure. The market trends are ever evolving, but the one specification that doesn’t is the quality and workmanship on each piece of outdoor furniture. 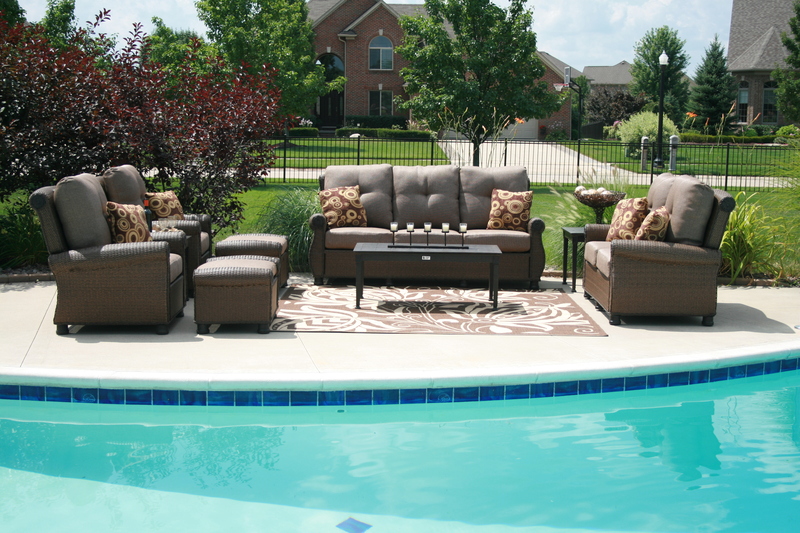 If your in the market for patio furniture in 2013, take these basic requirements into consideration when purchasing, ask the detailed questions and make sure to look for a cast in stone warranty, so that if something does happen for any reason, the company you purchase from will stand behind their product. Open Air Lifestyles is dedicated to our customers overall satisfaction from the ordering process to the final delivery. As a result, we are proud to announce our new white glove delivery program. What is White Glove Delivery you ask? Simply put, it is a delivery process ABOVE AND BEYOND your typical “curbside” delivery of your order that most furniture companies offer. The process is as follows: Once the products arrive into your local market a member of our staff will contact you to establish a mutually agreed upon date and 4 hour delivery window. On the day of delivery a phone call will be placed approximately 30 minutes prior to delivery, within the original 4 hour window, to provide additional communication. White Glove delivery includes two professional, uniformed men with exterior photo id on their person delivering to the residence. The delivery of the products will be to the room of choice and will be placed in the desired location once. Placement of the products will only be done one time as directed by the consignee. Simple assembly and removal of the shipping debris and packaging are also included. Yet one more example of Open Air Lifestyle’s commitment to our customers, ensuring a positive experience from clicking the order button to delivery. Viro Fiber is know for their innovation when it comes to high style materials used in outdoor and indoor designer furniture. The Polyrod resin has become the en vogue in the outdoor market and continues to gain in popularity. This look is very unique and this material lends itself to long term durability if it is woven correctly. Viro Polyrod has endless color and style options, creating a very large selection to fit any taste or style required. Here is a better understanding of what Viro Polyrod is and why it has become such a unique option in the outdoor furniture market. Polyrod is a synthetic, highly flexible, tensile-strength polyethylene fiber made by Viro. It is used in woven outdoor furniture, but is equally suited to indoor applications. Virofibers are made of HDPE, a 100% recyclable, non-toxic and highly durable material. They have unique properties that render them insensitive to UV rays, temperature fluctuations and harsh weather conditions. With Viro’s exclusive extrusion process, we create beautiful synthetic fibers that are completely colored throughout, making them smudge-proof and virtually immune to fading unlike the cheap imitation polyrod fiber. There is a laundry list of things one must consider when it comes down to purchasing the perfect outdoor furniture set. Is the furniture durable? Does it provide adequate seating? How long will it maintain optimum comfort? Is my furniture found at every basement bargain retailer? Open Air Lifestyles LLC answers each and every question by saying only one word. That word is Giovanna. The Giovanna Collection is taking the outdoor furniture market by storm with a combination of all weather wicker coupled with cast aluminum accents. This deep seating set is offered in a variety of configurations, and can comfortably seat up to seven guests if necessary. To answer the question of durability, one only has to look at the Giovanna’s reinforced aluminum frames to know that this collection will be a part of your landscape for many years to come. If comfort is your concern, you can rest easy knowing the Giovanna’s six inch thick cushions can melt away the stresses of everyday life. Rarely in the industry does one come across a deep seating set that offers swivel rocking club chairs. Open Air listened to its customers and is proud to offer swivel rocking club chairs as part of the Giovanna Collection. These chairs don’t just swivel, they actually rock. One more reason to put this collection high a top your wish list this season. The Giovanna Collection can only be found at Open Air Lifestyles LLC. Get yours today, as supplies are limited. 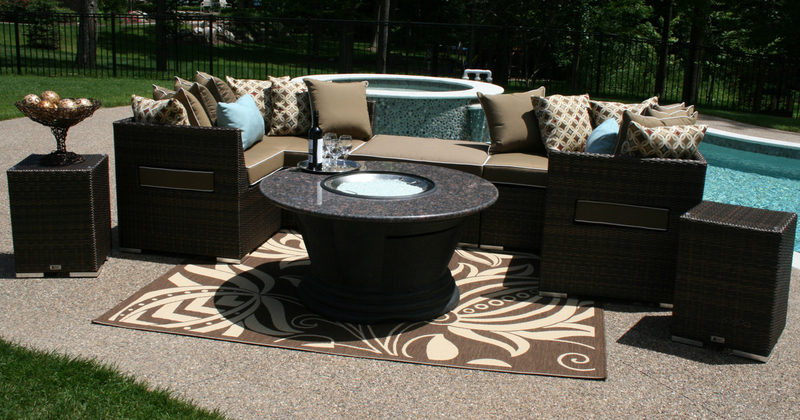 When purchasing Outdoor Patio Furniture, the customer must take a number of things into consideration. How much space do I have available? What style should I use? What color cushions should I have? The list can go on and on. Open Air Lifestyles LLC has carefully considered these questions, and offers up a wide selection of Deep Seating Sectionals that are sure to accommodate you the customer in this upcoming season. If its an “L” shaped sectional you desire, Open Air has several options to choose from, based on your specific need. All of the “L” shapes are carefully woven using Viro brand wicker, giving the promise of long life in even the harshest of environments. Their reinforced aluminum frames can withstand mother nature, and are commonly used in commercial environments, where wear and tear are at a premium. Another advantage to the use of sectionals is the variety of ways they can be configured. This gives you the customer the option of placing specific pieces, in a specific place, based on the actual floor space you have available, and the number of persons your trying to seat. Lastly, comfort is usually high a top the list when buying your sectional. Open Air uses Sunbrella fabric around its 5 to 10 inch reticulated foam cushions. This allows for quick drying, in the event your cushions get wet. The covers are made so that the customer has the ability to remove the cover, and machine wash in the event of staining. Cushions up to 10 inches in thickness promise extreme comfort, making your sectional the most comfortable seating available today and tomorrow. There have been numerous cast aluminum furniture designs released to the market over the years, some have been poorly designed, some mediocre and others extraordinary. For Open Air Lifestyles, LLC producing the best furniture designs and maintaining quality products are exactly what they strive for. Using only the finest materials available on the market and observing the designer trends, they continually produce and manufacture some of the finest furniture available at an affordable price range. 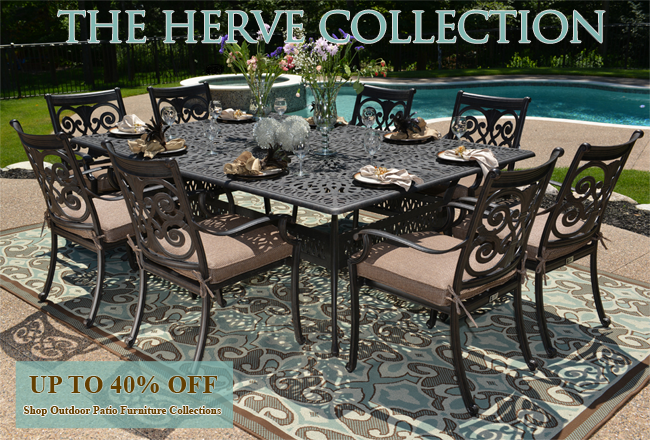 They are proud to introduce their full line of Herve cast aluminum patio furniture collections. The Herve cast aluminum collection comes in every style and configuration imaginable, from deep seating to dining to bar or lounging. The deep seating collection can be configured with the choice of: sofa, loveseat, stationary club chair, rocking club chair, coffee table and/or end table. 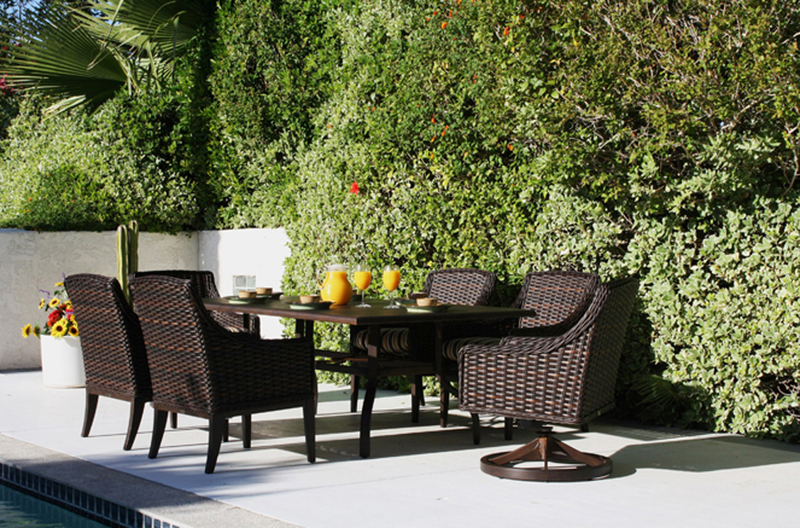 They offer various pre-configured collections pertaining to the consumer’s outdoor living space. Want a dining set to match your deep seating set? Not a problem. Open Air Lifestyles, LLC offers stationary dining chairs, swivel rocking dining chairs and three different sized tables to choose from, ranging from 48” round to 60” round or 87” oblong. How about some bar height chairs or bar tables to go along with your dining or deep seating? The Herve collection can accommodate just that, with swivel bar height chairs and a 42” round bar height table to create a bar area within your space. 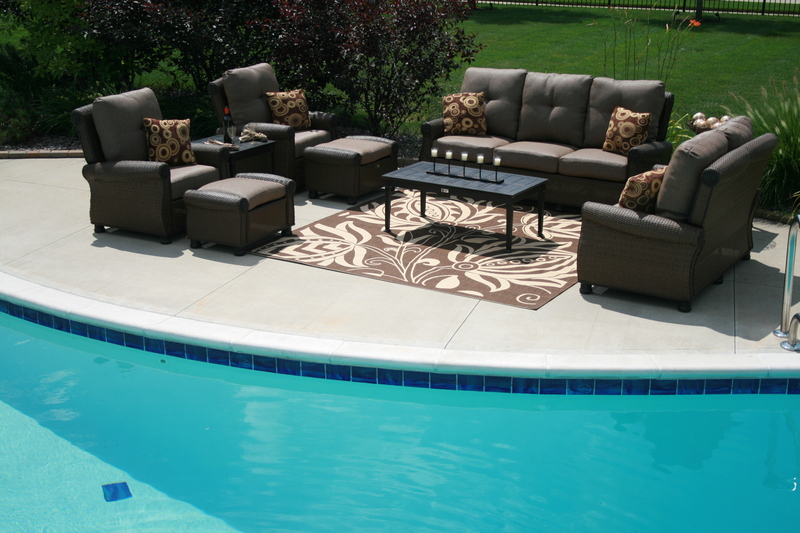 Need some lounges around your pool? Well the Herve collection has that covered too. Open Air Lifestyles, LLC created coordinating single lounges and double lounges with matching cushions and a bronze powder coat finishes. All of the pieces within the Herve collection have been manufactured with extreme meticulous care and detail; from fully welded frames, 5 stage electrostatic powder-coating, artisan dual faced cast design, reticulated quick dry foam cushions housed in all-weather acrylic dyed fabric and virgin aluminum. The only pieces of furniture that require assembly within the collection are the tables and swivel/rocking chairs. Open Air Lifestyles, LLC has an arsenal of Herve configurations available on their website for deep seating, dining, bar or lounges. All of their products come with substantial warranties and competitive pricing. Feel free to contact them with any questions regarding your outdoor living dream space; they are heavily customer service orientated with over 30 years of experience. Open Air Lifestyles, LLC is located in Michigan just outside of the Detroit metropolitan area, where they continue to work aggressively on new trending designs and using only genuine materials available on the market. They pride themselves on offering the best quality at an affordable price which in turn promises to please the consumer with high end furniture that will last a life time. You can inquire about their full line of products either commercial or residential ranging from furniture covers, outdoor rugs, fire pits, umbrellas, deep seating sets, dining sets, chaise lounges, bar height sets, outdoor televisions and accessories to fulfill and enlighten your outdoor living space by calling toll free: 1-877-548-5697 24 hours a day/7 days a week EST. The outdoor patio furniture industry has made numerous attempts throughout the years to supply the market with a set of furniture that offers comfort and durability through the use of chairs that swivel and glide. Furniture that is designed with motion has been a tricky feat for the furniture manufacturers throughout the years. The result has been disappointing to say the least. With that being said the Giovanna wicker patio furniture collection from Open Air Lifestyles, LLC brought this technology to the forefront by carefully implementing such structure and mechanisms to the club chairs within this particular furniture collection. Open Air Lifestyles, LLC designed their club chairs to not only swivel but, glide without a bunch of unnecessary subpar mechanisms that need constant maintenance. Each mechanism is crafted of heavy duty virgin aluminum designed to work cohesively in unison with one another. This offers the comfort and versatility of smooth motion to the seating while not compromising the structural integrity. The Giovanna collection is a blend of modernity and “old world” artistry crafted so precisely, that it positions itself in a category of its own. Open Air Lifestyles, LLC decided to mix the elements on this particular set by mounting specialty designed cast molded decorative plates encompassed in Golden Crown polyethylene wicker. The decorative pieces are positioned on the front and back of the arm rests as well as the sides of the back rest. Each piece of furniture has cast aluminum leveling feet to match, which are all powder coated with a bronzed finish. The use of different elements positions this set at the top for unique design in the furniture market. The combination of cast aluminum accents and wicker wrapped up in one make the Giovanna a one of a kind patio furniture set. The design of the Giovanna collection is second to none when it comes to unique beauty and durability. The non-corrosive aluminum framing and heavy duty vinyl strapping positioned under the seat cushions ensure longevity within the outdoor elements. The Giovanna collection is equipped with generously proportioned back and seat cushions that are covered with a high density acrylic dyed outdoor fabric (Simone Rocco). With the cushions being 6″ thick this collection promises to serve up some extreme comfort to the consumer. The Giovanna collection is offered in a variety of configurations ranging from nine piece sets to three piece sets depending on your living space. Open Air Lifestyles, LLC even went above and beyond designing the tables offered in this set. They decided to have the coffee and end tables fully welded to avoid the aggravation of assembly and periodical maintenance, due to loosening hardware. The tables come equipped with a beautiful fully cast embossed top design and legs to match. This set is truly a flagship to the furniture market and you wonít find it anywhere else but Open Air Lifestyles, LLC. In today’s market, all weather wicker outdoor dining patio furniture comes in a variety of shapes and sizes and the Lochmoor wicker patio dining collection from Open Air Lifestyles, LLC will not disappoint. This particular collection has been a very popular item so far for the year 2012. It offers the consumer a slightly different, but unique look, through the use of round all weather wicker, carefully woven throughout its pieces. 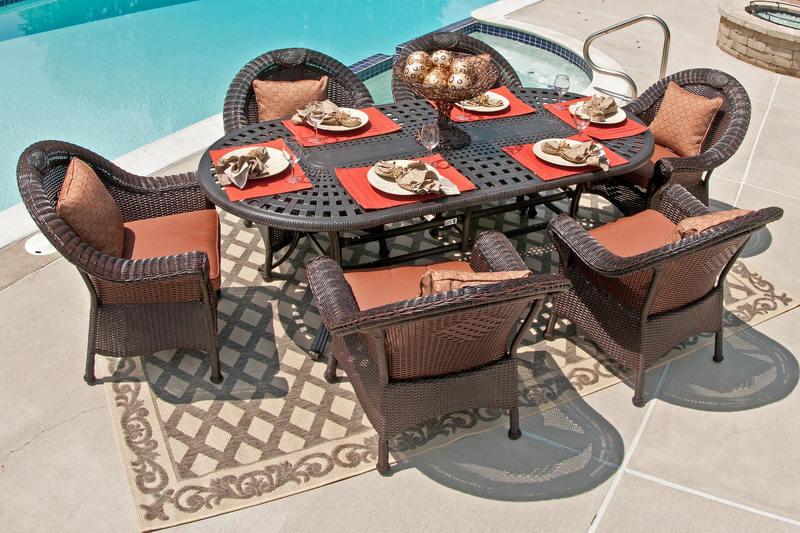 The Lochmoor wicker patio dining set comes in a variety of configurations depending on your space. The Lochmoor dining chairs can be used with a variety of dining tables, based on the consumer’s needs. The dining chairs were made on purpose, slightly oversized which gives the consumer the feel of a deep seating club chair. With its wide arms and deep seat this particular chair boasts the best of all worlds. The collection comes equipped with quick-dry foam interiors housed in high density, weather proof acrylic dyed fabric and are roughly three inches thick which promises to make comfort a non-factor. To top things off Open Air Lifestyles, LLC decided to add that special finishing touch to this collection. They decided to make the dining chairs extra unique through the use of a cast aluminum decorative plate woven into the back of each chair. This wicker cast combination is a trending market style that combines different elements into a hybrid design. The Lochmoor wicker patio dining set can be configured with various cast aluminum tables to suit the consumer’s outdoor living space. The collection can be configured as a four person dining set with a 48” round table or a chat set with a 21” square end table. The six person dining sets can be configured with either an 87” oblong cast table or 60” round cast table. All tables are bronze powder coated to match the wicker color. This particular wicker style is round not flat like most wicker woven products. This creates a unique style with meticulous detail and smooth texture. The use of round wicker can give the furniture pieces a multi-dimensional look unlike flat wicker applications.